SCA first grade student Myles Jeffries, pictured with SCA Elementary Principal Charissa Sanders, received an elementary Christian Character Award for first quarter. SCA sixth grade student Brynn Smith, pictured with SCA Elementary Principal Charissa Sanders, received an elementary Christian Character Award for first quarter. 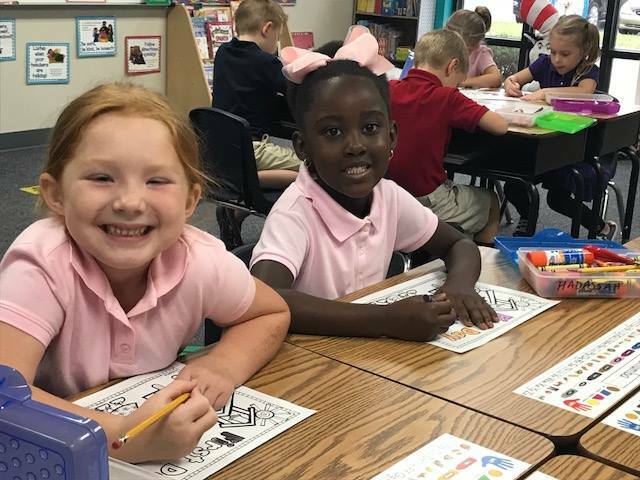 Summit Christian Academy recently recognized elementary students who consistently exhibit exceptional Christian character through the Christian Character program. Summit Christian Academy (SCA) recently celebrated International Education Week (IEW) for the 8th year in a row. From left to right: SCA Elementary Principal Mrs. Charissa Sanders with Spelling Bee Winner 8th grade student Olivia Truesdale, second place winner sixth grade student Abigail Shanahan, third place winner third grade student Leo Butler, and SCA Academic Dean Mrs. Kimberlee Gill. These students will advance to the Association of Christian Schools International (ACSI) district competition on January 16 at Maranatha Christian Academy in Shawnee, KS. SCA Senior Joy Chen, Senior Chloe Nielsen, Sophomore Mackenzie Madsen, and Sophomore Alysa Ward were selected for the Kansas City Metro SSAA Honor Choir. SCA Sophomores Annie Harsch and Grace Filer were selected for the Kansas City Metro All-District Mixed Honor Choir. SCA Junior William Chapman, Sophomore Ryan Wagy, and Junior Patrick Simpson were selected for the Kansas City Metro TTBB Honor Choir. Nine members of the Summit Christian Academy secondary choir have earned a spot in one of the Kansas City Metro District Honor Choirs for 2018-19. Boundary changes in Lee’s Summit are inevitable. They’re going to happen. For the betterment of our district, our buildings and our future, we must look street by street, neighborhood by neighborhood and school building by school building to realign, reorganize and best use our facilities. 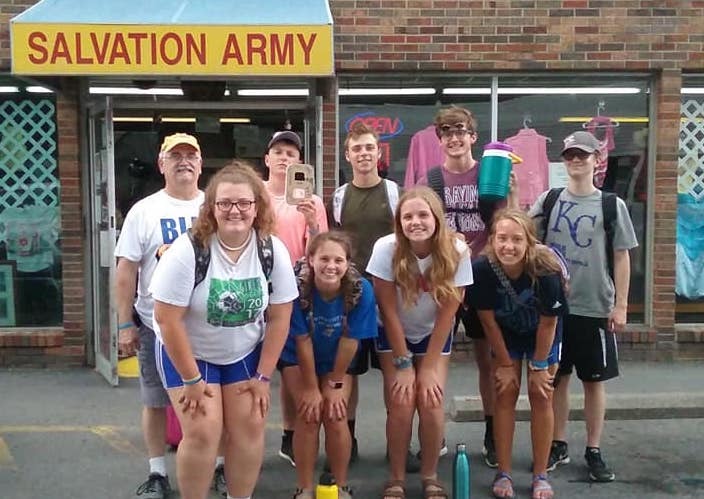 SCA’s Senior Class of 2019 took part in the 15th annual Senior Mission Trip, serving in Beckley, West Virginia. SCA seniors cleaned and organized at Salvation Army’s thrift store and office. SCA seniors cleaned, painted, and did outdoor projects at Appalachia Bible College. 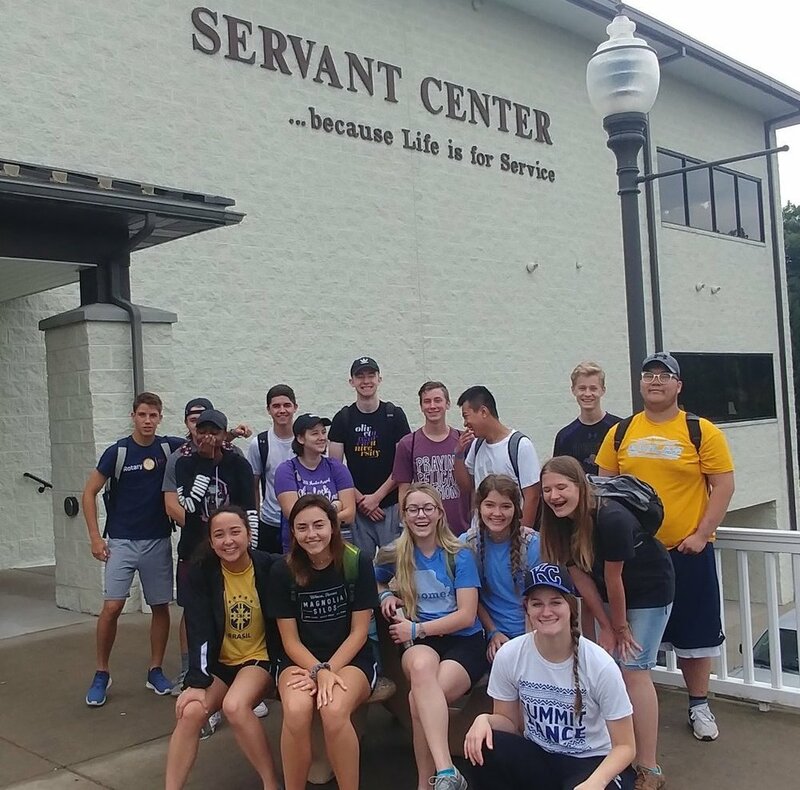 The Summit Christian Academy Class of 2019 spent the remainder of summer vacation serving in Beckley, West Virginia as a part of SCA’s 15th annual Senior Mission Trip. Summit Christian Academy recently hosted their annual “Morning with Mom” event. Mothers and mother figures were invited to share breakfast and some extra time with their students before the school day began. Summit Christian Academy (SCA) recently celebrated 44 Reader Leaders in grades first through sixth. These students took time from their summer to read a book from an approved list and completed a written summary and/or visual tool for the novel that they read. SCA 10th grade students visit with prospective colleges from around the nation as SCA was a participant in the Catholic College Fair. Summit Christian Academy students were afforded an opportunity to catch a glimpse of the next level of education as the school participated in the “Catholic College Fair” circuit. Jonathan Wagner, founder of Big Bang IO, LLC, demonstrates Gigabots, which are designed for K-12 students to explore robotics and Internet of Things applications, and will be part of the new Gigabit lab at The Missouri Innovation Campus. cybersecurity, Internet of Things (IoT) devices, and the healthcare industry. The 2018-19 school year started out on a positive note for families from Lee’s Summit to Lone Jack, thanks to the generosity of the community and volunteers through Lee’s Summit Social Services. Kindergarten students Ady Morrow and Hadassah Chumba are among the 810 PreSchool - 12th grade students at SCA for the 2018-19 school year. 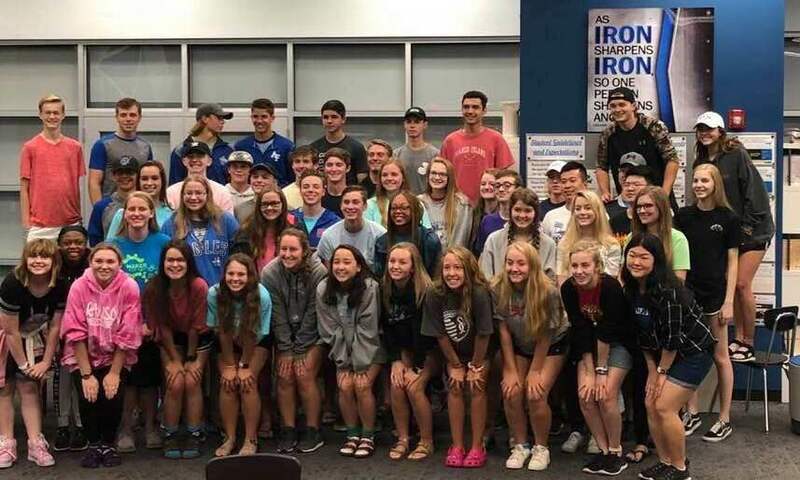 Summit Christian Academy’s (SCA) 29th year finds them celebrating a record number of students filling the PreSchool - 12th grade halls. This week has been designated by Congressional resolution as Arts In Education Week. For these seven days we will celebrate the powerful influences of dance, music, theatre, and visual art in the lives of students, as well as their larger communities. The good news is, there is a lot to celebrate. Kelly Wachel is the executive director of communications for the Lee's Summit R-7 School District. Kelly Wachel can feel the pressure to craft the perfect snow-day recorded message already. And when that first layer of the white stuff hits, she’ll be ready.